Many studies have proven that cholesterol lowering foods can be good for your health, but in a world of “creative” marketing and conflicting information, it can be really difficult to make wise eating choices. I am sure that we have all visited this land in our dreams, but here in the real world, cholesterol is actually a major component in good health. Ignoring it does not mean it will go away, and sooner or later, it will make its presence known. The best way to deal with it is to arm ourselves with knowledge so that we can outsmart those plaque building molecules and keep our artery walls smooth and clean. Knowing what is going on inside our body will help us devise a “game plan” to combat high cholesterol and prevent heart disease. A long list of foods that lower cholesterol and their good, healthy properties. A shopping guide to help you avoid clever marketing tricks and misleading food labels. A proper understanding of ‘good’ and ‘bad’ cholesterol (and the importance of healthy HDL levels & LDL levels). An in-depth explanation of different kinds of fats (saturated fats, unsaturated fats, omega-3 fatty acids and trans fats). BEFORE YOU READ THE LIST: When you read this list of healthy foods with the ability to lower cholesterol you will meet many scientific terms such as LDL cholesterol, HDL cholesterol, unsaturated fast, omega-3- fatty acids etc. If you want an explanation of these terms in order to understand everything in depth, you can take a short cut via the table of contents just above or read the entirety of this article as all the terms will be explained later. Whole grains contain soluble fiber which many researchers believe binds with fats and removes them from the intestinal tract. They also think that soluble fiber is able to stick to LDL cholesterol, thereby preventing it from attaching to artery walls. An extensive 2007 study conducted at Wake Forest University in North Carolina found that people whose diets contained high levels of whole grains had the thinnest carotid artery walls and showed the slowest progression toward atherosclerosis. 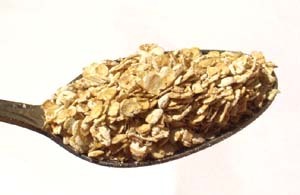 Oats and oat bran contain more soluble fiber than any other grain, making them the best example of cholesterol lowering foods. 5-10 grams of soluble fiber a day can decrease LDL cholesterol by about 5%, although some studies have shown that it can actually be as much as 23%. Nuts are rich in both poly and monounsaturated fats which are important for the maintenance of healthy blood vessels. Nuts may be high in calories but they also contain many other nutrients that can lower your LDL cholesterol levels, raise your HDL cholesterol levels, and reduce your risk of heart disease. Nuts are high in fiber, phytochemicals, antioxidants, and many vitamins. What are Phytochemicals? Phytochemicals, or Phytonutrients, have become the newest sensation in the health and nutrition field and have been receiving a lot of attention for their ability to help prevent disease and cell damage. To date, over 1,000 have been discovered, but scientists are finding more all the time. According to researchers, these plant compounds may inhibit cancer, prevent inflammation, boost immune responses, and reduce LDL cholesterol. Most of these benefits are due to the fact that phytochemicals protect against oxidation, which we have already learned, is the main cause of many conditions including high LDL cholesterol and heart disease. Besides being rich in protein, almonds are higher in alpha-tocopherol (Vitamin E) than any other type of nut. It is also best to eat almonds with the skin since it contains high levels of antioxidants that can inhibit the oxidation of LDL. Clinical trials have shown that eating almonds can lower total cholesterol by 8-12% and LDL cholesterol by 9-15%. These nuts contain fiber, vitamin E, B vitamins, and minerals. In addition, walnuts are also high in omega-3 fatty acids, which can lower triglycerides, slow the accumulation of plaque on arterial walls, and reduce cholesterol levels. Pistachios contain antioxidants typically found in dark leafy vegetables such as kale, have a high level of phytosterols – a group of phytochemicals found to lower LDL cholesterol – and more beta carotene (Vitamin A) than any other type of nut. 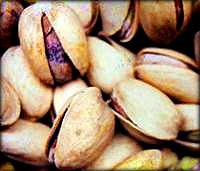 When added to a heart healthy diet, pistachios have been shown to good cholesterol lowering foods as they lower total cholesterol by 9-12%. 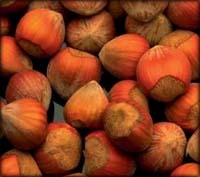 A study conducted by the Department of Nutrition and Dietetics at the Hacettepe University in Turkey showed that men who added 40 grams of hazelnuts to a heart healthy diet experienced a 5.2% decline in total cholesterol, a 3.3% drop in LDL cholesterol, and a 12.6% increase in HDL cholesterol. 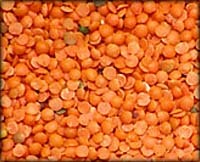 Legumes include foods such as pinto beans, navy beans, and lentils. Legumes are high in soluble fiber, which has been proven to lower LDL cholesterol, low in sodium (if you do not used canned), and rich in minerals such as potassium, calcium, and magnesium. In addition, cholesterol lowering foods such as legumes also contain plant sterols which have been found to lower LDL cholesterol levels. What are plant sterols and stanols? Plant sterols and stanols are found in plant based foods including legumes, nuts, seeds, yogurt, fruits such as avocados, apples, and blueberries, and vegetables like broccoli. Plant sterols and stanols have a structure similar to that of cholesterol and work to block the absorption of LDL cholesterol by the intestines, resulting in less LDL cholesterol available for oxidation. A 1995 study published in the New England Journal of Medicine found that less than 1 ounce of plant sterols a day can reduce LDL cholesterol by over 14%, and other research has also confirmed that consuming 2 servings of sterol rich foods daily can result in a 10-15% decline in LDL cholesterol levels. Red wine is one of the most well known heart healthy products and contains many beneficial components that help fight illness and disease. Polyphenols and flavanoids, both antioxidants, hinder plaque formation and prevent the oxidation of LDL cholesterol. Resveratrol, found in the skin of red and purple grapes, helps prevent damage to the blood vessels, reduces the risk of blood clots, and also lowers LDL cholesterol levels. Red wine also contains glucose based plant compounds known as saponins, which have been found to be effective in preventing the absorption of cholesterol in the body, thereby lowering the risk of cardiovascular disease. So, pour yourself a glass. You deserve it, and so does your heart! 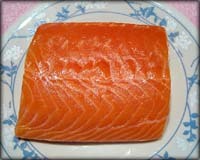 Certain types of fish make part of the cholesterol lowering foods list, particularly salmon, tuna, mackerel, sardines, pacific herring, and lake trout contain large amounts of omega-3 fatty acids which have been proven to reduce triglycerides and LDL cholesterol levels in the blood and slow the progression of plaque accumulation on artery walls. Dark chocolate contains antioxidants, particularly high levels of the polyphenols catechins, flavanoids, and procyanidins. These polyphenols have been shown to reduce LDL cholesterol, increase HDL cholesterol, and protect against LDL oxidation. So yes, wonderful dark chocolate is also a good example of cholesterol lowering foods. After being given 100g of dark chocolate a day for two weeks, patients with hypertension were found to have lower blood pressure and LDL cholesterol levels, improved flow-mediated dilation, and increased insulin sensitivity. (Grassi D, Desideri G, Necozione S, Lippi C, Casale R, Properzi G, Blumberg JB, Ferri C. Sept. 2008). It should be noted that in order to realize the health benefits of dark chocolate, it must contain at least 70% cocoa solids. Olive oil is high in antioxidants and can raise your HDL cholesterol levels while also preventing the oxidation of LDL cholesterol. 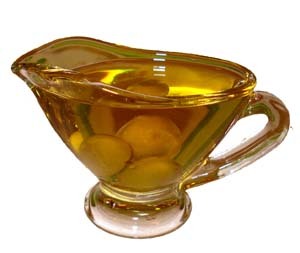 It is recommended that you consume 2 tablespoons of olive oil per day, and it is also suggested that, to enjoy the full cholesterol lowering benefits, it may be best to use extra-virgin olive oil as it is less processed and contains higher levels of antioxidants. Avocados are a great as foods to lower cholesterol as this source of monounsaturated fat that is thought to raise HDL cholesterol levels while also lowering LDL cholesterol levels. Avocados also contain the plant sterol, beta-sitosterol, which reduces the amount of cholesterol that is absorbed from your food. High in antioxidants, particularly polyphenols, pomegranate juice can reduce LDL cholesterol levels by slowing its absorption into the bloodstream. A study conducted by the National Academy of Sciences revealed that this juice can increase the production of nitric oxide which helps reduce arterial plaque. It is important to note that pomegranate juice should only be taken at the advice of your doctor as it may affect the absorption and metabolism of some medications. These mini powerhouses are high in fiber, omega-3 fatty acids, and phytochemicals called lignans which help reduce total blood cholesterol and LDL cholesterol levels. While all fruits and veggies contain antioxidants that will fight free radicals and help improve cholesterol levels, blueberries are often referred to as a “superfood” because they contain a compound known as pterostilbene. In preliminary studies, pterostilbene has shown the potential of being able to lower LDL cholesterol as effectively as prescription drugs. 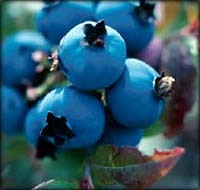 So blueberries are truly top performers in the list of cholesterol lowering foods. If you would like to se a video on foods to lower cholesterol, I can recommend that you watch the one below. Besides getting a list of foods that lower cholesterol naturally, you will get an ‘optimistic’ and positive way of creating a low cholesterol diet as the focus in the video is ‘eat more of the right kinds of foods’ rather than ‘avoid this and that because it’s sooo unhealthy’. We are bombarded with information from television, magazines, product labels, and even our health care professionals. Terms such as “natural”, “light”, “low cholesterol”, and “high fiber” are often thrown around irresponsibly with little evidence to back these claims. So, what do we believe? And how do we know what is accurate and what is just another marketing ploy to boost sales? Well, let’s talk about food labels for a minute. If you want to improve your health – lose weight, lower cholesterol with cholesterol lowering foods, or boost your immunity – you must learn how to properly read a label. Rules vary depending on where you live, but with a growing number of people wanting to make healthy choices, companies have latched on to this trend and are using it to promote their products, despite the questionable accuracy of their claims. For example, is a breakfast cereal really a “smart choice” because it now has fiber added? Are we expected to ignore the high percentage of sugar, corn syrup, trans fats, and artificial colors or flavoring that also make up the long list of ingredients? Yes, whole grains in themselves have been shown to be foods that actually lower cholesterol, but studies have also proven that both sugar and trans fats will raise your ‘bad’ cholesterol while also lowering your ‘good’ cholesterol. And, what about the claim that a product is made with 100% whole grains? This does not necessarily mean that all the grain used is 100% whole. In fact, only a small portion needs to fit this description. So, even though the package says that it is good for your heart and will lower cholesterol, you really have to question whether or not this is true. Especially, if the ingredients also include shortening, sugar, or trans fats. In other words, I can add a tablespoon of flaxseeds to my chocolate cake and tell my family and friends that it is made with 100% whole grains. Does that suddenly make my chocolate cake good for them? Does “all natural” mean healthy? Maybe, if you are buying an apple or cucumber. After all, butter is all natural, and so are deep fried french fries, but I don’t think either one of these things would make the list of top 10 heart healthy foods. “Low Cholesterol” and “Cholesterol Free” on Labels May Be Misleading! To qualify for this title, a product must contain no more than 20mg of cholesterol per serving. Depending on the condition of your health and the source of the cholesterol, this amount is still quite significant. And how large are the servings? If portions are small, it is quite easy for most of us to consume far more than one serving at a time. Also, “cholesterol free” actually means that the product has less than 2mg of cholesterol per serving. If you are on a strict diet, 2mg really isn’t cholesterol free, is it? This may seem a little off-track, but one of the first steps to lowering your total cholesterol is to understand what is actually in the food you are eating. I don’t know about you, but if I pull a package of cookies off the supermarket shelf and the label states that there is 20mg of cholesterol per serving (which is usually only 2 cookies), then it is going right back where it came from and I am looking for another option. Product labels can be misleading and you cannot believe everything you read. Check out the ingredients and nutritional values before you purchase a product. However, there is a distinction that must be mentioned. Not all “low cholesterol” foods are going to lower your high cholesterol levels or be cholesterol lowering foods. In fact, as previously mentioned, some foods may actually raise your cholesterol levels. 50 years ago, we probably would not have needed to discuss this point, but with the number of processed, packaged, and prepared foods on the market today, it is worth a quick mention. If you take a trip to your supermarket, you will find literally hundreds of products that contain 0 mg of cholesterol. In less than 5 minutes I found granola bars, crackers, chocolate syrup, and a loaf of white bread. And, in the “low cholesterol” category (less than 20mg/serving) I found boxed macaroni and cheese, cookies, ice cream, and bacon bits. If you stick to the recommended servings, it is possible that these products will not raise your cholesterol levels – providing they are not too high in sugar – but, it is doubtful that they will act as foods that lower cholesterol. Cholesterol lowering foods are always low in cholesterol BUT “low cholesterol” foods will not always be cholesterol lowering. Again, it is important to understand this distinction of low cholesterol foods and cholesterol lowering foods, especially if you are battling high cholesterol levels and want to begin eating a more heart healthy diet. So many of us have been conditioned with the terms “good” cholesterol and “bad” cholesterol that we have begun to view the good stuff as a coveted prize while the bad stuff becomes the enemy that we want to banish into exile. When talking about cholesterol, “good” and “bad” are probably not the best terms to use. Now, before you react, let me explain. Cholesterol – any type – is not bad for you! It is a naturally occurring substance that our bodies need to produce cell membranes and hormones. Since cholesterol cannot be dissolved in the blood, it is transported through the body by molecules called lipoproteins. Basically, there are two types: Low Density Lipoprotein (LDL) and High Density Lipoprotein (HDL). LDL is often referred to as “bad” cholesterol. But, LDL actually plays a very important and necessary role. It is the LDL that carries the cholesterol to the cells, thereby giving them the power and energy they need to function properly. Without LDL, cells would fatigue quickly and be unable to perform their jobs. HDL removes any excess LDL cholesterol from the blood and carries it to the liver for disposal before it can be deposited on vessel walls. Therefore, high levels of HDL are good because they can protect your heart by making sure that your body gets rid of any unused LDL cholesterol. LDL Is not the Problem in Itself! Therefore, “bad” cholesterol really doesn’t deserve this reputation. A certain amount of LDL cholesterol is needed for the cells to function normally. In most people, the liver works together with a proper diet to produce the right amount, but when there is an excess of LDL and not enough HDL or antioxidants in the blood, there is a risk of the LDL becoming oxidized. In fact, most recent evidence shows that it is the oxidized LDL that causes inflammation in the arteries and the build up of plaque that leads to the narrowing of passages and restricted or blocked blood flow. Many medical professionals and scientist believe that if LDL are not oxidized they will not cause any damage. So, how does oxidation occur? Well, bad cholesterol happens when LDL particles meet up with the unfriendly molecules known as free radicals. Free radicals are chemicals that cause damage to cells and tissues in the body and are responsible for many types of disease. When the two get together, they create a reaction that causes the LDL to become oxidized. They damage the existing LDL by changing its molecular structure. Oxidized LDL are very dangerous. These molecules go straight to the lining of the arteries, produce inflammation and the formation of plaque, eventually leading to atherosclerosis or the blockage of blood vessels. So, how do we prevent LDL oxidation? There are two ways to prevent bad cholesterol: HDL and Antioxidants. Remember, HDL molecules carry excess LDL from the blood to the liver for disposal. Think of them as little workers protecting your body from the dangers of oxidation. The more HDL you have working for you, the less chance there will be of an overlooked molecule of LDL falling prey to a gang of free radicals. Antioxidants, as the name implies, actually inhibit or prevent oxidation by terminating free radical reactions. In other words, antioxidants fight the free radicals so that they cannot cause damage to cells and tissue. The best way to increase antioxidant levels is by eating foods high in antioxidants (understood as cholesterol lowering foods). And, the good news is that most foods known for raising HDL levels are also rich in antioxidants, so you can get both oxidation fighters from the same source of foods that lower cholesterol. Well, it means that you should not remove so called “bad” or high cholesterol foods from your diet completely. In fact, it is necessary to make sure that you continue to include them. Eat enough cholesterol for healthy cellular function. Consume enough foods that raise HDL or “good” cholesterol levels. And load up on antioxidants. While too much “bad” cholesterol can be unhealthy, it is important that you do not eliminate it completely. Too little can be as serious as too much! No, it is not wise to live on bacon fat and pastries, but if you are eating a responsible diet of foods with cholesterol lowering properties, the most effective way to counteract high cholesterol is to increase your levels of HDL and antioxidants. Even if all your risk factors are low and your LDL cholesterol is in a healthy range, you still have an increased risk of heart disease if your HDL levels are not sufficient. Now, I am not saying that you should go ahead and eat all the “bad” cholesterol you want as long as you balance it with plenty of “good” cholesterol. That would be equal to saying that it is alright to smoke as long as you jog 5 km a day. It is a ridiculous notion. It’s all a question of creating a healthy balance! While HDL is our friend, LDL is not our enemy. And, without LDL, HDL would be bored. The two are designed to work together and both serve an important purpose. In other words, all cholesterol is good, but it is possible to have too much of a good thing. Reduce your LDL cholesterol intake a little, but don’t exile it completely. It really isn’t as bad as some make it out to be. Of course, some cholesterol issues are not from eating choices or lifestyle, but are actually medical conditions that must be treated professionally. In these cases, more extreme treatments and rigid diets may be necessary, and patients should always follow the programs and guidelines outlined by their doctors. Fat, like cholesterol, is necessary for energy and the maintenance of good health. And, like cholesterol, fat is often misunderstood. Many people equate “high fat” with “high cholesterol”, but this isn’t necessarily the case. In fact, our bodies actually need fat to help with nutrient absorption, nerve function, insulation, and the transport of certain vitamins through the bloodstream. Since fat and cholesterol are often linked, it is important to understand the different types of fats and how they affect your cholesterol levels. Saturated fats are often regarded as the evil villains of the fat family and are the ones usually blamed for high cholesterol. This isn’t entirely untrue since foods high in saturated fats are often typically high in triglycerides and LDL cholesterol. 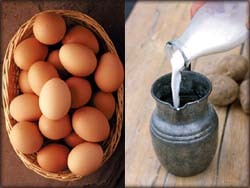 Saturated fats are derived from animal products and include such foods as meat, dairy, eggs, and coconut or palm oils. Saturated fats are solid or semi-solid at room temperature, and many people believe that they are the main culprits in raising total and LDL cholesterol levels. However, some studies are showing that certain sources of saturated fats have no effect at all on cholesterol levels, leading some people to reconsider the dangers. In fact, saturated fats are very important and play a vital role in maintaining health. Nutrient absorption and the delivery of fat soluble vitamins to the cells such as vitamins A, E, D, and K.
Boosting the immunity system and improving immune function. Building a healthy nervous and digestive system. Destruction of many harmful microorganisms such as viruses, bacteria, and parasites. Maintenance of healthy bones. Saturated fat is necessary for the body to effectively absorb calcium and vitamin D. This would explain why milk and dairy products contain saturated fats. In fact, some health care practitioners recommend that at least 50% of dietary fats should be saturated in order to maintain a strong skeletal system. Utilization of Omega-3 Fatty Acids which are essential for the prevention of heart disease and supporting the immunity system. So, saturated fats aren’t so bad, are they? You just have to consider the source and eat in moderation. For example, real butter is far better for you than margarine containing hydrogenated oils. And cheese offers far more health benefits than lard or shortening made from animal products. So yes, you have to monitor your saturated fat intake in order to maintain a healthy weight and LDL cholesterol level. But, don’t completely eliminate them or your body won’t function properly. And, many of the alternatives, such as trans fats, can be far worse for your heart and total cholesterol than the products they are replacing. Unsaturated fats are derived from plants and vegetables, and the two main types that most people are familiar with are monounsaturated fats and polyunsaturated fats. Monounsaturated fats are liquid at room temperature, although some may begin to solidify if exposed to cold temperatures. This type of fat is present in such foods as olive and olive oil, peanut and canola oils, and avocados (olive oil and avocadoes are good examples of very healthy foods that also lower cholesterol). Polyunsaturated fats are also liquid at room temperature and remain liquid, even in when refrigerated. They include such things as sesame, cottonseed, soybean, corn, and safflower oils. Polyunsaturated fats also reduce LDL, but some research has indicated that consuming too much may actually lower HDL levels as well. Omega-3 Fatty Acids: The True Miracle Workers! These are actually a type of polyunsaturated fats that are essential for health, but your body cannot produce them so they must be included in your diet. Recently, a lot of research has been dedicated to studying the benefits of omega-3s and scientists have made some amazing discoveries. Sources of omega-3 include cold water fish (salmon, trout, sardines, herring, and mackerel), flaxseed, walnuts, and soy products. If you are looking for “bad guys” in the cholesterol saga, trans fats – or trans-fatty acids – are the players to pick. 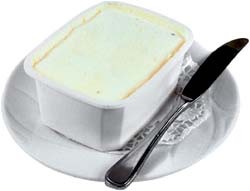 These are unnatural or synthetic fat molecules formed when liquid vegetable oil is changed into a solid or semi-solid state, such as margarine or shortening. This process is called Hydrogenation, therefore, trans fats are also listed on product packages as hydrogenated oils, fats, or shortenings. Recently, trans-fatty acids have been receiving a lot of attention due to new research that has proven their dangers and health risks. But, even though public knowledge and awareness has grown over the last few years, some researchers have been warning against consuming these products from the moment they were approved for human consumption. Perhaps the most vocal is Dr. Mary Enig from the University of Maryland, who began reporting her findings back in the 1970s. For decades, she fought alone on this front, but over the last several years, her research has been backed by other reputable studies that show the relationship between trans fats and increased risk of high cholesterol and heart disease (Mensink and Katan, 1990; Mann, 1994). According to the Mayo Clinic, trans fat raises LDL cholesterol and lowers HDL cholesterol. In fact, many studies have shown that heart disease actually began to climb with the introduction of trans fats and cholesterol levels are more impacted by reducing trans fat consumption than by limiting saturated fat intake. Bottom line, cut the trans fats out of your diet. They can be detrimental to your health and offer no positive benefits. Go ahead and send these guys into exile. Your heart will thank you for it! Now that we have a better understanding of the different types of fats and cholesterol and how they affect our health, we are better equipped to make wise eating choices and select foods that lower cholesterol. Remember, just because some foods are low in cholesterol does not mean that they are actually effective in raising HDL and lowering LDL levels. In other words, low cholesterol foods are not necessarily cholesterol lowering foods. Furthermore, some foods have a neutral effect, which is neither good nor bad, but if you are fighting high cholesterol, or just want to prevent the possibility, there are certain cholesterol lowering foods that can really help. There is very strong evidence to support the idea that cholesterol levels can be increased or decreased through diet with none of the side effects often experienced with prescription drugs. In fact, some case study results have shown that dietary means have been just as effective as medication. A 2006 study published in the American Journal of Clinical Nutrition followed 66 participants with high cholesterol for a one year period. The objective of the study was to test cholesterol lowering foods against cholesterol lowering drugs known as statins. Researchers discovered that a cholesterol lowering foods diet produced results equal to that of the prescribed medications. However, it is important to note that diet should never replace drugs without your doctor’s approval. Using niacin for cholesterol treatment has been used for many years with a great deal of success. Doctors from the Mayo Clinic have found that this B vitamin can raise your HDL cholesterol level by 15-35%, while also decreasing LDL cholesterol and triglyceride levels. 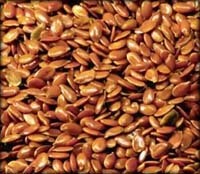 In fact, it is regarded as one of the most effective treatments for raising HDL cholesterol levels. BUT It Is not Part of the List of Foods That Lower Cholesterol! When it comes to cholesterol lowering foods and lowering cholesterol, soy products have been the victims of much controversy and conflicting information. For years, soy proteins and isoflavones have been touted as cholesterol lowering foods and the ideal answer for high cholesterol. Much of this belief came from studies conducted in the 1990s, that seemed to find adding soy to your diet could significantly lower LDL cholesterol. However, more recent and longer term studies have revealed that soy, in fact, has only minimal effects on LDL cholesterol and does absolutely nothing for raising HDL cholesterol levels. Soy does contain soluble fiber and many vitamins and minerals, so it is still a good addition to your menu. But, conflicting results have led to its removal from the list of cholesterol lowering foods. You should monitor your cholesterol levels regularly by asking your doctor to order a simple blood test. Cholesterol is typically measured in milligrams per deciliter (mg/dL) in the United States and in millimoles per liter (mmol/L) in Canada and most European countries. Ideally, LDL cholesterol levels should be below 100 mg/dL or 2.6 mmol/L. Anything higher than 150 mg/dL or 4.0 mmol/L is considered dangerous and puts you at risk for heart disease. Men with a HDL cholesterol level lower than 40 mg/dL or 1 mmol/L are thought to have an increased risk of heart disease, while women should strive to maintain HDL cholesterol levels above 50 mg/dL or 1.3 mmol/L. An HDL cholesterol level of 60 mg/L or 1.5 mmol/L or higher is considered ideal for both men and women. Cholesterol, whether you love it or hate it, is a fact of life. The best way to deal with it is to learn how to manage it effectively so you can enjoy the health benefits and live a long, prosperous life. Exercise and a healthy lifestyle, including stress management, are keys to lowering LDL and raising HDL cholesterol levels. And, part of a healthy lifestyle is making wise eating choices and consuming foods that have cholesterol lowering properties (in other words, cholesterol lowering foods). For decades, the effects of foods with the properties of lowering cholesterol have been studied, providing strong evidence that both HDL and LDL levels can be controlled by diet, sometimes even as effectively as commercial medications. So, even though we may not find that magical land where cholesterol doesn’t exist, we can take control of our health so that cholesterol does not get the better of us. So, eat saturated fat in moderation, build up your HDL levels, and learn to enjoy life and have fun.